Join Microlumbia's mailing list or inquire about joining our student management team or serving on a consulting project by contacting us at info@microlumbia.org. 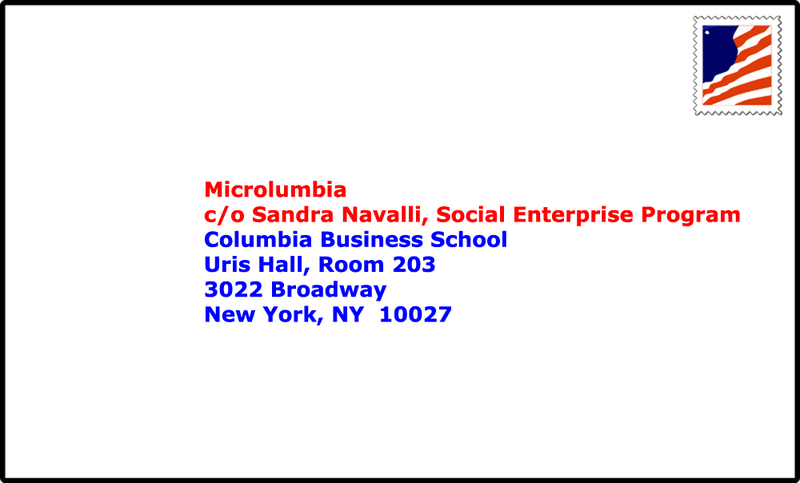 Microlumbia management team members are asked to join our parent organization, the Social Enterprise Club (SEC) by signing up and paying dues via the Columbia Groups webpage. If you don't have time to be involved, but can support Microlumbia financially, please consider making a donation to our organization through one of the TWO OPTIONS below. As always, contributions are tax-deductible. Make an electronic donation conveniently and securely via PayPal. Additionally, if you already shop with Amazon, you can support our mission by making purchases through Microlumbia's AmazonSmile account. A nominal (0.5%) of all spending will be donated to our organization. Also, don't forget to introduce us to your clustermates, classmates, friends, and family! Check out our social media feeds at the bottom of the page, connect with us, and spread the word.